Keep your handbag off the floor by hanging it with one of these hooks from the table. Make great gifts! Easy to post. This pretty patterned hook will look great holding your handbag for you. 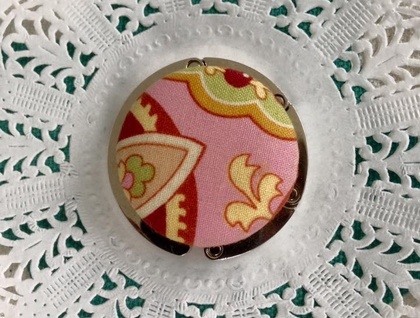 Decorated with a 38mm button covered in funky fabric, these are pretty & practical. Holds quite heavy/large bags.